Bondi Sands Liquid Gold salon formulation contains DHA and Erythrulose for a deeper, longer lasting tan. The dry oil formula is enriched with Argon and Coconut Oil, helping to nourish the skin and ensure the perfect golden glow. For an even streak free tan, ensure skin is clean, exfoliated and free of any moisturisers. Skin may be washed after 2 hours. 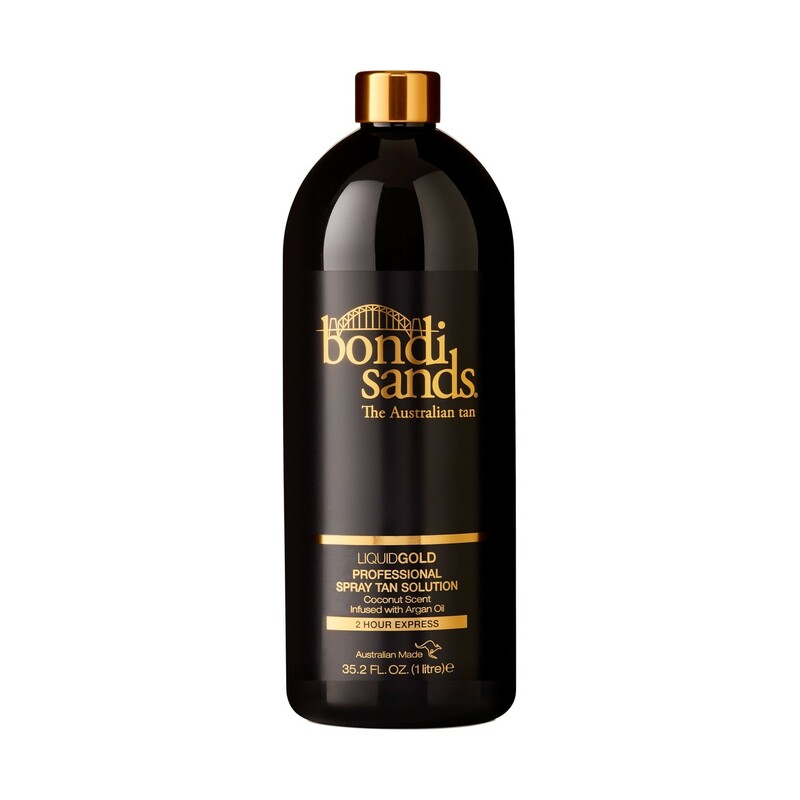 For a longer lasting darker tan leave solution on skin for up to 6 hours. Shower and gently pat skin dry. Apply moisturiser daily after application to increase the life of the tan.